2011 – A GREAT TIME TO SELL? “July proved to be another strong month for Canadian home sales with the Canadian Real Estate Association now predicting 2011 will see an increase in sales as opposed to a previous forecast for a drop.” Financial Post – August 17, 2011. July sales were up 12.3% from this time last year, though year-to-date sales are still lagging 2010 sales by 1.6%. According to the article, the national average price: $361,181 is up 9.3% from a year ago. Before getting too excited about the 9.3% increase, remember that the HST was implemented just a year ago along with stricter mortgage regulations. 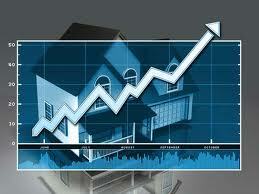 This created an increase in sales in the early part of last year to July 1 and a flat market afterwards. Since total year to date volume is only lagging by 1.6%, it looks like the effect of these two market busters has dissipated, which is good news for sellers. CREA expects that 2011 will modestly surpass 2010, even though they had previously been predicting a decline of 1% for this year from last. This entry was posted in Blogs, Facebook, LinkedIn, Real Estate, Social Networking, Traffic, Twitter and tagged Blogs, facebook, linkedIn, real estate sales, social media, Social Media for the Real Estate Professional, social networking, twitter. Bookmark the permalink.